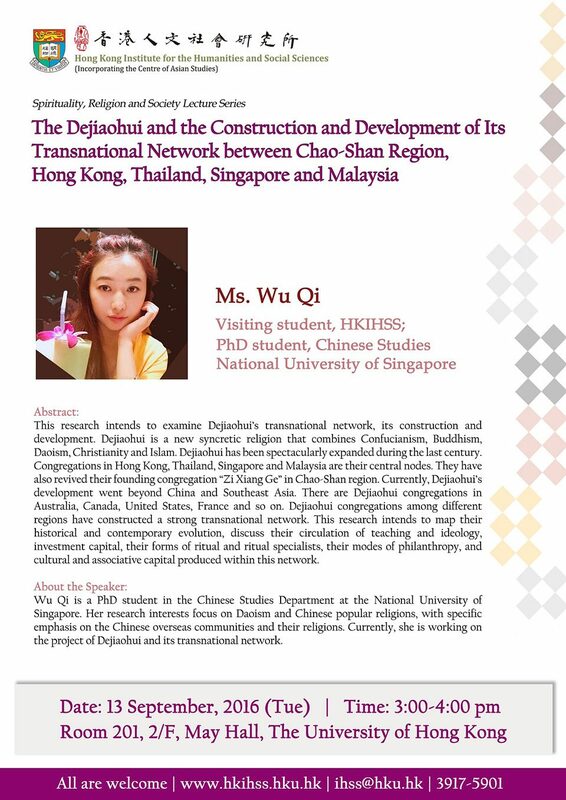 This research intends to examine Dejiaohui’s transnational network, its construction and development. Dejiaohui is a new syncretic religion that combines Confucianism, Buddhism, Daoism, Christianity and Islam. Dejiaohui has been spectacularly expanded during the last century. Congregations in Hong Kong, Thailand, Singapore and Malaysia are their central nodes. They have also revived their founding congregation “Zi Xiang Ge” in Chao-Shan region. Currently, Dejiaohui’s devdopment went beyond China and Southeast Asia. There are Dejiaohui congregations in Australia, Canada, United States, France and so on. Dejiaohui congregations among different regions have constructed a strong transnational network. This research intends to map their historical and contemporary evolution, discuss their circulation of teaching and ideology, investment capital, their forms of ritual and ritual specialists, their modes of philanthropy, and cultural and associative capital produced within this network. 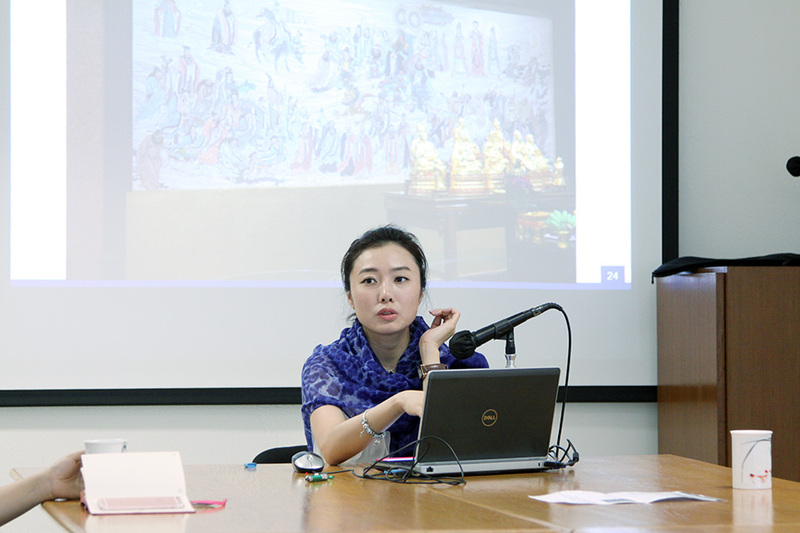 Qi Wu is a PhD student in the Chinese Studies Department at the National University of Singapore. Her research interests focus on Daoism and Chinese popular religions, with specific emphasis on the Chinese overseas communities and their religions. 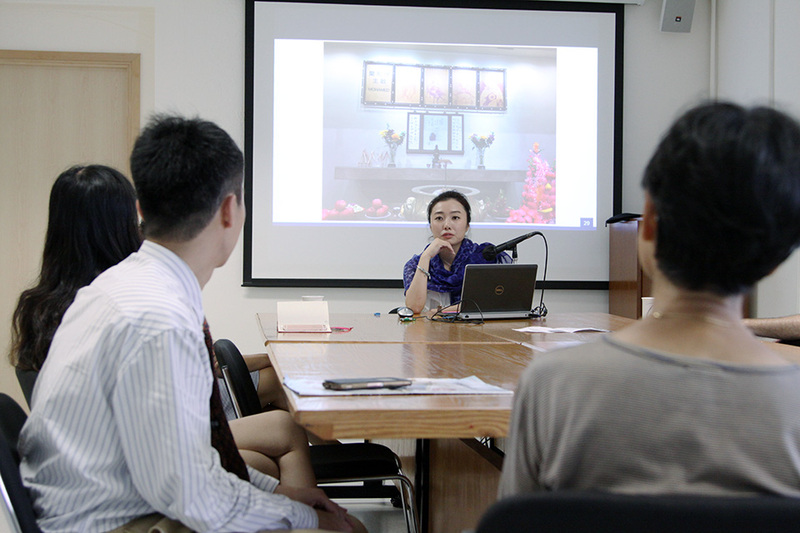 Currently, she is working on the project of Dejiaohui and its transnational network.